Rumah Sakit Umum Daerah Prof Dr Margono Soekarjo Purwokerto - RSUD Prof Dr Margono Soekarjo Purwokerto or most commonly known as RS Margono a leading and reputable state-owned general hospital in the Province of Central Java. RS Margono is the Hospital Class B education which is owned by the Regional Government of Central Java Province. 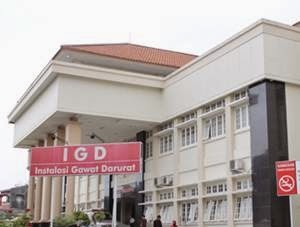 The Hospital is based in Purwokerto Central Java and registered at Jl Dr Gumbreg No 1 Purwokerto. RS Margono was established in 1995 as a fusion of RSU Purwokerto. According to RS Margono's company profile as cited by JobsCDC.com, RS Margono now has 731 installed beds capacity, including 24 units of main class, 89 units of VIP, 127 units of Class I, 96 units of Class II, 325 units of Class III, 18 units of HCU, 16 units of ICU, 8 units of ICCU and 28 units of NICU. At present, RS Margono directly employs 1,706 staff. In line with its continued expansion program, RSUD Prof Dr Margono Soekarjo Purwokerto is pleased to announce the following vacancies for immediate recruitment. Indonesian citizen (WNI) with minimum age of 18 years and maximum 30 years old for SMA/K, D3, and S1. Have required educational qualifications, expertise and skills. Never sentenced to prison or jail by a court decision that already has a binding legal force, as an act of criminal. Never engage in an activity / movement against the Pancasila, UUD 1945, the State and the government of Republic Indonesia. Never honorably discharged at his own request or not with respect as civil / military members / police members or dishonorably discharged as a private employee. Good character as evidenced by SKCK from local police office (POLRES or POLSEK). Legalized copies of academic diploma and trancript with a Grade Point Average (GPA) of minimum 3.00 out of 4.00 scale for D3, D4, S1, S2 and Medical specialist. Legalized copy of academic diploma with minimum average national exam score of 7.00 for SMA/K. Minimum accredited major B for applicants from universities as evidenced by a certificate of accreditation. Minimum accredited major B for Rekam Medik and Ortotik Prostetik positons as evidenced by a certificate of accreditation. Legalized copy of Certificate Register (STR) for all Tenaga Kesehatan positions. Copy of ATLS and shows the original certificate for Dokter Umum positions. Copy of PPGD or BTCLS certificate and shows the original certificate for Perawat positions. 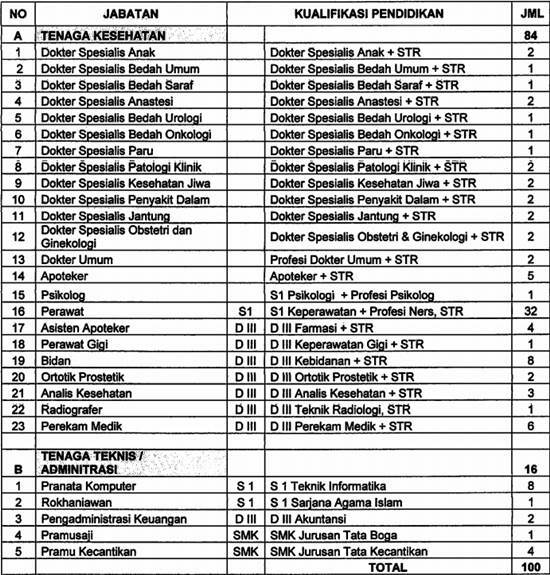 Copy of Certificate Register (STR), ATLS and ACLS certificates for Dokter Umum positions. Minimum height of 155 cm for Bidan positions, 160 cm (Female) and 165 cm (Male) for Perawat, Perawat Gigi, and Radiografer positions. Other supporting training/course certificates (if any). JobsCDC.com now available on android device. Download now on Google Play here. Please be aware of recruitment fraud. The entire stage of this selection process is free of charge. RSUD Prof Dr Margono Soekarjo Purwokerto - SMK, D3, S1, S2 Non CPNS Staff BLUD September 2016 will never ask for fees or upfront payments for any purposes during the recruitment process such as transportation and accommodation.